If you wish to submit an article related to the topics of the next issues, a text edition or an article that fits in the general purpose of the Institute, if you wish to submit a book review on islamology, you can send your text directly to the director of MIDEO (gro.o1556171199riac-1556171199oedi@1556171199oedim1556171199). The interactions and exchanges between Twelver Shiites and Christians, Catholics as well as Protestants, have rarely been studied in detail.1 However, there were intensive mutual contacts, as indicated by numerous travelogues, missionary reports, theological and polemical works, diplomatic correspondence, etc. Many of these texts that are preserved in libraries and archives in Europe, as well as Iran and Iraq, still remain to be studied. The conference aims to identify the nature of the intercultural relations according to time, milieu, and geographical zone. We are particularly interested in manuscripts and little-studied texts by missionaries, envoys, travelers (Europeans as well as Arabs and Persians), converts (Muslims and Christians), theologians and scholars, who were engaged in debates with the ‘other’, in the Middle East as well as Europe. The purpose of the conference is to study the different representations of the ‘other’ and to identify mutual influences, possible ruptures, and the cultural dynamics that appeared during these encounters between ‘East’ and ‘West’. Among other issues, we will discuss the cultural, religious, political and theological perceptions of the ‘other’. What was the role of missionaries? What about diplomatic and political exchanges? What was the relation between the Vatican and local authorities? How did literature contribute to an understanding of the ‘other’, to the reciprocity of perspectives? What about the proximity of theological works and religious practices between Christians and Shiites? The conference will, through its scientific expertise, attempt to address some of these questions. The languages of the studied texts include Arabic, Persian, Latin, and the vernacular languages (Portuguese, Spanish, Italian, French, Polish). Conference fee: There is a conference fee of 25 Euros per participant and presenter. This fee will entitle these persons to participate in the entire conference and attend the reception dinner. Travel or accommodation expenses will not be covered by the organizers, but they would be happy to assist in finding low priced accommodation in religious communities near the Institut Catholique de Paris. Deadline for the call for papers: November 1, 2017. Successful applicants will be notified by December 1. Publication: The deadline for submitting an article for review is March 1, 2019. The Mélanges de l’Institut dominicain d’études orientales 35 (2020) dedicates its dossier to the topic of the conference. An article can be published following its positive evaluation by the scientific committee. From September 28 through October 1, 2018, we will offer to conference participants a workshop on manuscripts linked to the history of Shiite-Christian relations. The workshop will take place in Najaf, Irak (limited registration). Language of the workshop: Arabic. 1 The pioneer of studies on this topic is Dr Francis Richard whose most influential article is “Catholicisme et Islam chiite au ‘grand siècle’. Autour de quelques documents concernant les Missions catholiques au XVIIème siècle », Euntes docete 33 (1980), 339-403. One of the questions raised today by some Egyptian religious authorities is on the lawfulness and relevance of using intellectual tools foreign to the Islamic tradition to read and interpret the Qurʾān and texts of the classic Islamic heritage. Is it permissible and appropriate to use contemporary human sciences to study the texts of the Arab-Islamic patrimony or should it be limited to Ḥadīṯ? 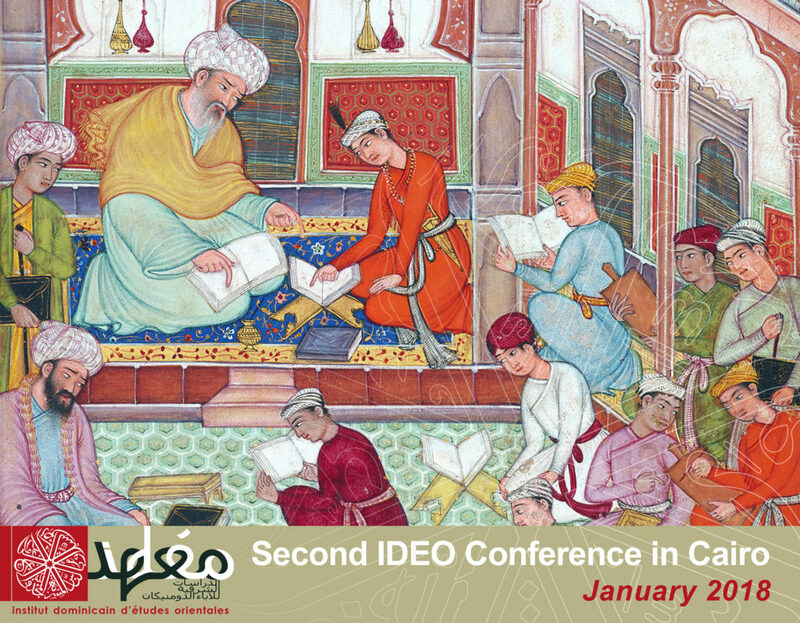 IDEO would like to contribute to this debate by studying the emergence of Ḥadīṯ as the authority of knowledge in the Islamic sciences between the 4ᵗʰ/10ᵗʰ and the 8ᵗʰ/14ᵗʰ century. As demonstrated by Jonathan Brown (2007), the process of canonization of the body of Ḥadīṯ in the 4th/10th century primarily answered the new needs of the Islamic community. And as noted by Aisha Musa (2008: 17–29), this canonization did not occur without the protest of those who saw Ḥadīṯ as a rival to the Qurʾānic text. In its two constitutive parts, matn and isnād, Ḥadīṯ enables scholars to transmit juridical, theological and spiritual knowledge as well as to connect this knowledge to the authority of the Prophet (Brown 2010: 166‒168). Since the 2nd/8th century, Muslim scholars have been confronted with the following paradox: how does one interpret a source that is certain (the Qurʾān) through the lens of texts whose historical reliability is doubtful and subject to criticism (Ḥadīṯ)? Isn’t human reason more reliable than Ḥadīṯ? The middle way of Ašʿarism (between a strict theological literalism and Muʿtazilī rationalism) enabled a kind of fusion between the science of Ḥadīṯ and the rational Muʿtazilī tools (Brown 2010: 178). However, Ašʿarism never silenced more traditionalist voices for whom Ḥadīṯ was the ultimate source of knowledge. Many scholars have studied the mutual influence of Ḥadīṯ on Fiqh, exegesis, theology and Sufism. We would like to further this research by studying other fields of knowledge in which the recourse to Ḥadīṯ has also been increasing since the 4th/10th century, such as grammar, philosophy, medicine… Are all sciences influenced by this movement? And even in the religious sciences (Fiqh, exegesis, Kalām, Sufism, etc. ), do authors turn to the Ḥadīṯ in the same way? Practically, do they treat the ḥadīts, which go back to the Prophet, differently from those which go back to God, as is the case with the aḥādīṯ qudsiyya, and from the āṯār, which trace back to the Companions? Are both matn and isnād used in the discussions? Are ḥadīṯs merely used as an identity marker? As an illustration? As a means to confer Prophetic authority to knowledge? Why would weak ḥadīṯs still be used? Is there resistance to this movement? How would Shia authors deal with Ḥadīṯ? How and to what extent did the Ḥadīṯ also become a source of authority in fields where one would least expect? In a more fundamental way, and beyond the functions of Ḥadīṯ in Islamic sciences, what is the epistemology that justifies or necessitates recourse to Ḥadīṯ? Is the same ‘radical hermeneutics’ described by Walid Saleh (2010) to be found in all authors? Why must the origin of human knowledge be based in the Prophet’s sayings? Can human reason have access to certain truths without the help of a prophetic revelation? The proceedings of this conference will be published in MIDEO, the journal of the Institute, issue 34 (May 2019) – contingent on the approval of the reading committee. The conferences of IDEO aim at supporting young scholars (PhD students and post-PhDs) by providing a space for encounter and debate. To attend the conference, please register by email at the following address: gro.o1556171199riac-1556171199oedi@1556171199taira1556171199terce1556171199s1556171199. Registration and attendance is free of charge. The deadline to register for attendance is December 31, 2017. If you wish to submit a proposal, please send an abstract of 300 to 500 words in English, French or Arabic, as well as your CV to the same address, gro.o1556171199riac-1556171199oedi@1556171199taira1556171199terce1556171199s1556171199. The deadline for submitting a proposal is September 30, 2017. We will select between six and ten proposals. —. 2011. 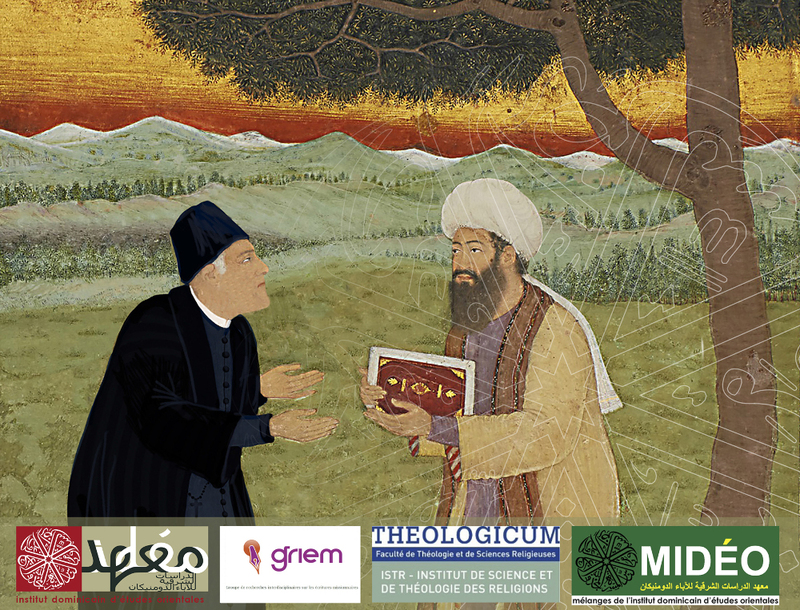 “The canonization of Ibn Mâjah: Authenticity vs. Utility in the formation of the Sunni Ḥadîth canon,” in Revue des mondes musulmans et de la Méditerranée 129: 169–181. Articles must be submitted to MIDEO’s direction in .doc and .PDF file before April, 1st 2017 to gro.o1556171199riac-1556171199oedi@1556171199oedim1556171199 following the style guide. After an “anonymous” reading by two rapporteurs, writers will be informed within three months whether their article is accepted or not. The texts will be corrected in the fall of 2017 and the publication is planned for the first quarter of 2018. To register, please send an email at the following address: gro.o1556171199riac-1556171199oedi@1556171199taira1556171199terce1556171199s1556171199. Registration is free of fees. 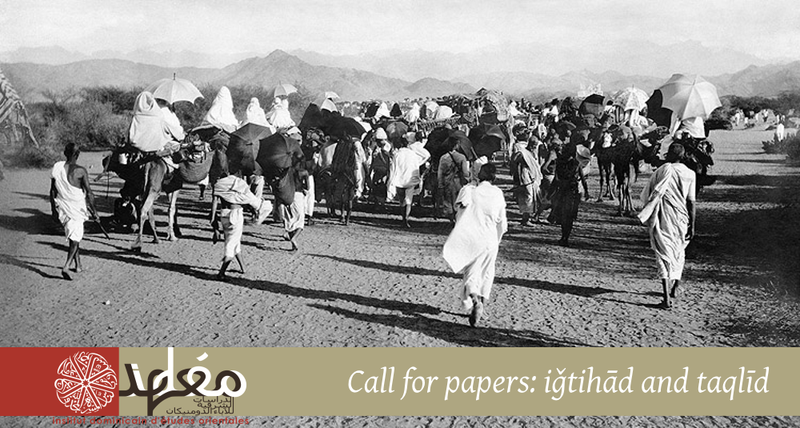 If you wish to deliver a paper, please send your abstract (300‒500 words, in English, French or Arabic) and a CV to the same address, gro.o1556171199riac-1556171199oedi@1556171199taira1556171199terce1556171199s1556171199. Deadline for application: September 30, 2015. We will select between six and ten papers.